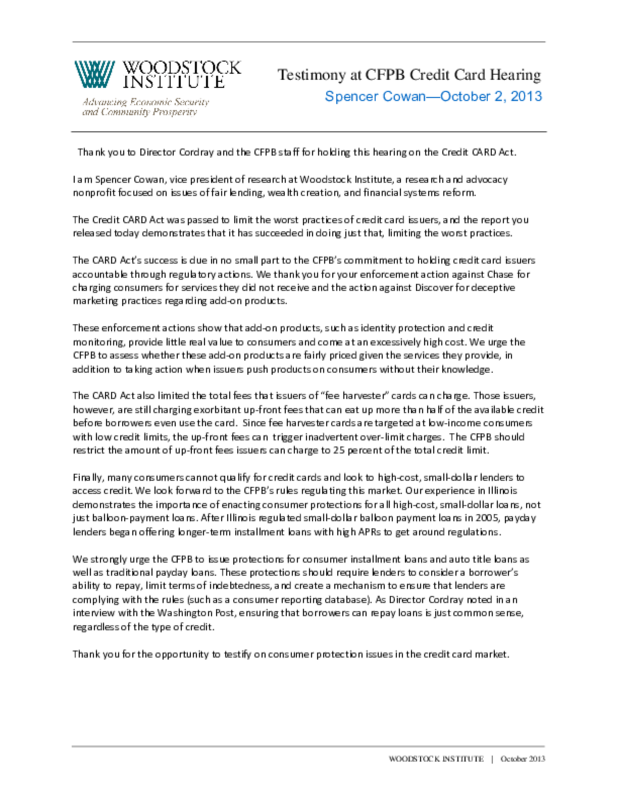 Testimony of Spencer Cowan before the Consumer Financial Protection Bureau field hearing on the impact of the Credit CARD Act. Cowan thanked the CFPB for enforcement actions against credit card issuers and urged them to assess the pricing of add-on products and restrict up-front fees. Cowan also recommended that the CFPB enact consumer protections for all high-cost small-dollar loans, including installment loans and auto title loans.